Our Fortnite Reboot Van locations guide will show you where to find all the Reboot Vans across Fortnite’s map. Clearly inspired by Apex Legends’ respawn system, Epic Games only went and added the ability to bring teammates back to life too. Instead of banners and beacons, it’s in classic Fortnite style, a vehicle. It’s already home to the Battle Bus, so the natural continuation is the Reboot Van, of course. Now teammates in squad matches will drop Reboot Cards whenever they go down. If an ally picks this up and takes it to a Reboot Van, it’ll bring their fallen friend back to life. The Reboot Vans aren’t clearly marked on the map, so we’ve put together a guide below which’ll show you where they all are so you can be confident in bringing your squad back to life, no matter which area of the map you’re based. Here’s a map which shows you where to find all the Reboot Vans. 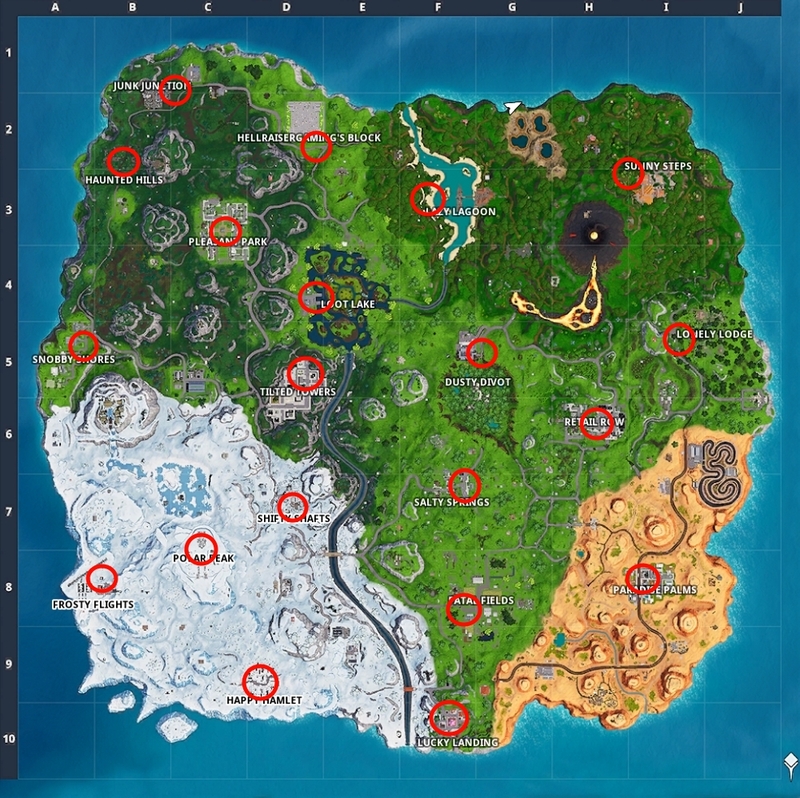 You’ll notice that there’s one in each named location, so beeline it towards these landmark locations if you’re ever wanting to get a teammate back in the action fast. Here’s a quick overview of the Reboot Van which also shows it in action too. Rebooted squad members return with: 100 Health, 1 Common Pistol, 36 Light Ammo, 100 Wood.